VLCC freight rates have fallen to year-to-date lows in recent weeks, as this tanker sector remains awash with tonnage, despite growing demand for cargo shipments. For the remainder of the year, we are likely to see weakness, relative to previous years, persist through the seasonally stronger winter period, McQuilling Services said in a report. 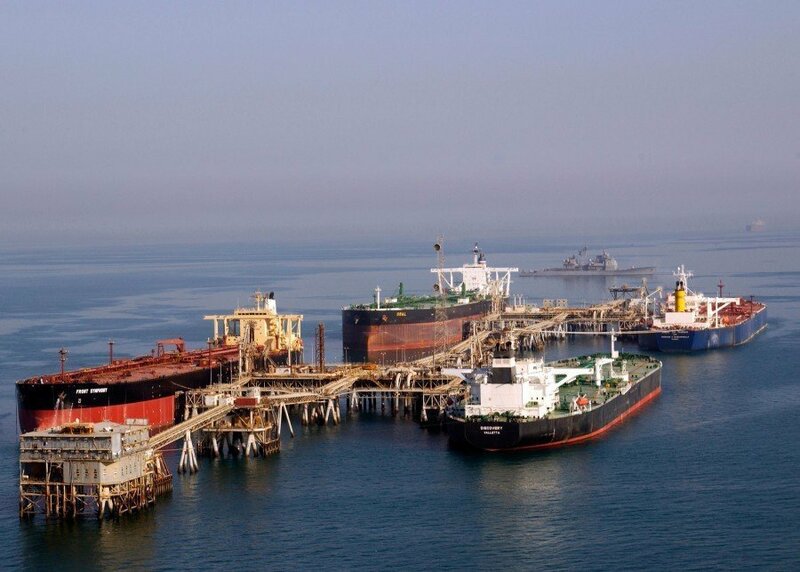 Rates out of the Arabian Gulf to the East (TD3, TD1) remained pressured by an oversupply of tonnage, as OPEC cuts removed demand and cargoes to the West remained below previous years. Year-to-date, TD1 freight payable by charterers has fallen 33% from 2016 levels to average $2.1 mill, while TD3 has fallen a more modest 23% to average $2.3 mill. The Caribbean/Singapore route has dropped by just below $1 mill (20%) year-on-year to average $3.8 mill. Far East refinery crude intake is poised to grow by 360,000 barrels per day year-on-year, supported by stronger utilisation and a 100,000 barrels per day expansion in crude capacity. Chinese refinery intake is on track to average 11.5 mill barrels per day during the last four months of this year, supporting VLCC trading to the East. We note that intake fell to a nine month low in August, following a typical seasonal trend and pressured by weaker refinery margins and re-start issues after maintenance. Up to now, government oversight within this sector has been limited; however, a recent fatal incident at a petrochemicals plant has caused the shutdown of refineries in the Shandong area. JBC Energy has estimated that 570,000 barrels per day of primary crude distillation capacity is offline, as a result of inspections while an additional 310,000 barrels per day of primary refining capacity has been implicated in having violated safety codes. Inspections are likely to continue until October. In addition, we have observed demand pressures stemming from the delayed start of two refineries with a combined 460,000 barrels per day of crude capacity. Over the remainder of the year, we expect these developments, as well as a slowdown in Chinese SPR building to pressure tanker demand, McQuilling said. In its base case, the consultancy expected SPR levels to rise about 75 mill barrels by December, 2018, which combined with refinery demand, implies imports around 8.4 mill barrels per day for the remainder of 2017 and 8.7 mill barrels per day for 2018. The largest demand generator for the VLCC sector, Middle East/Far East, is expected to experience marginal growth this year, as the pace of demand growth in the East far exceeds supply growth in the Middle East. Middle Eastern crude supply will continue to be pressured by OPEC productions cuts, falling 535,000 barrels per day this year and opening the door for more Atlantic Basin flows to the East, as pricing arbitrages open up. West African crude supply is projected to rise by 130,000 barrels per day year-on-year; however, export growth from these two regions (ME and WAF) is expected to trail Asian and Indian demand growth. McQuilling forecast a deficit of about 350,000 barrels per day over the final four months of the year , supporting its view that Atlantic Basin barrels will balance this deficit with a strong preference for US, European and Brazilian crudes. The US Energy Information Administration (EIA) put domestic crude production at an average of 9.6 mill barrels per day through the remainder of the year, while 2018 production is expected at an average of 9.9 mill barrels per day. EIA also expects net imports (imports-exports) to average 6.3 mill barrels per day over the final four months of the year. Using this information, McQuilling has developed a short-term US crude export forecast, which calls for export volumes to average around one million barrels per day over the final four months of the year. In February, we observed a surge in US crude exports, which correlated with higher US Gulf/Caribbean liftings, as VLCCs were seen to be co-loading US and Caribbean crude for discharge in the East. We noted that some US Gulf port delays from Hurricane Harvey may impede the flow of export cargoes in the near-term; however, recent reports show conditions were improving within the region and were likely to support a peak in US crude export during October’s lifting period, McQuilling said. Interest to source US crude is primarily arbitrage driven and is likely to remain high, as the WTI/Brent spread has widened well above the $5 per barrel mark this month, which may support higher US crude export volumes as operations in the Gulf resume to normal levels. The consultancy forecast around 50 US VLCC cargoes out of the Gulf this year; however, this will not fill the imbalance, therefore volumes will likely be sourced from Brazil, which is projected to add about 200,000 barrels per day of crude output this year, although short-term supply crunches may stem from increased refinery intake. Additional support for tanker demand has stemmed from a recent rise in both Northern and Southern European barrels to the East amid higher crude supply in the Black Sea and Mediterranean. Looking forward, McQuilling expected VLCC rate bifurcation (splitting between AG and Atlantic Basin) during the winter months, as fundamentals in the Atlantic Basin were likely to prove beneficial for rates on West loadings. While we expect this market to fare a bit better than the Arabian Gulf, we must keep in mind that the rate upturn for this Winter season is likely to remain below previous years, as the market remains over-supplied with tonnage, despite the recent increase in scrapping activity, as another 16 vessels are left to join the fleet this year, McQuilling said. We forecast TD3 to average WS69 in December, which on a lumpsum basis would equate to about $2.8 mill in freight, a 33% drop year-on-year. On the TD15 West Africa trade, December freight is expected to fall by a more modest 26% to $4.1 mill basis WS74. For owners looking to the Caribbean, we expect freight rates for discharge in Singapore to remain relatively unchanged year-on-year at around $4.9 mill in December, McQuilling concluded.